A cross country meet with a unique format that included several Aroostook County and Penobscot Valley Conference squads was held at Caribou High School under sunny skies and cool temperatures Saturday afternoon. CARIBOU, Maine — A cross country meet with a unique format that included several Aroostook County and Penobscot Valley Conference squads was held at Caribou High School under sunny skies and cool temperatures Saturday afternoon. 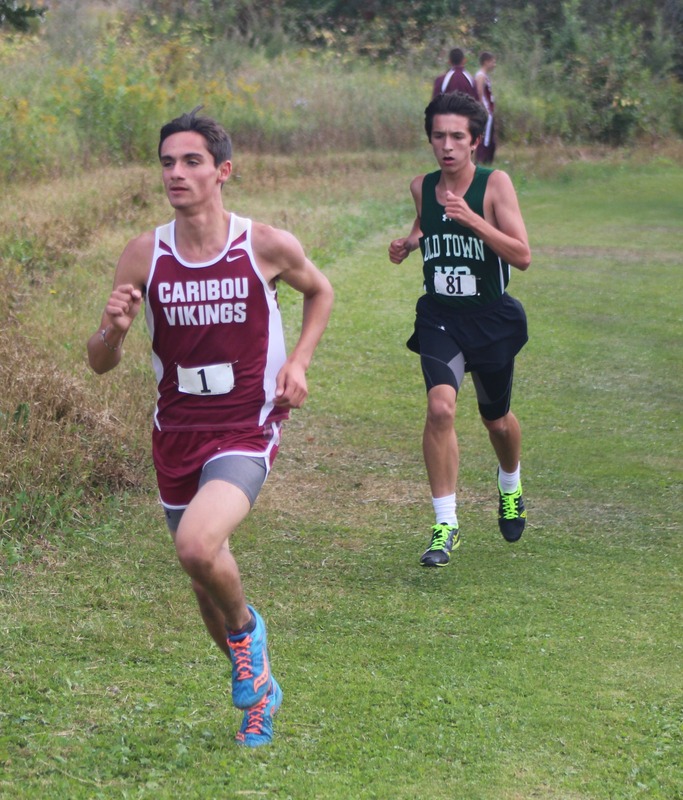 The Caribou Invitational features seven separate boys’ races, followed by seven girls’ races, with competing teams’ No. 1 runners in the same field, followed by the No. 2s, No. 3s and all the way to the No. 7s. After all the boys races were held, the girls followed in the same style. The course measured just over three miles in length. In the end, the Hermon boys and the Orono girls proved to be the class of the field. Both teams logged five first-place finishes out of the seven races to score five points and capture first place. On the boys’ side, Caribou followed with eight points and Ellsworth was third with 12. Old Town, Orono, John Bapst, Presque Isle, MSSM, GHCA and Washburn followed in consecutive order. Caribou girls’ coach Thomas Beckum said his team has been fighting illness and was without No. 3 runner Maren Moir, but still turned in a solid performance. Boys No. 1 race: first, Dylan Marrero, Caribou, 16:59.76; sixth, Trace Cyr, Presque Isle, 18:46.67; eighth, Sawyer LaChance, MSSM, 19:22.08; ninth, Cole Winslow, GHCA, 19:29.42; 10th, Patrick Saucier, Washburn, 20:44.04; and 11th, Patrick Parnham, Wisdom, 22:42.48. Boys No. 2 race: second, Jordan Duplessie, Caribou, 17:55.76; sixth, Owen McQuarrie, Presque Isle, 19:08.65; eighth, Jay Philbrick, MSSM, 19:33.8; ninth, Aidan Churchill, Washburn, 20:20.96; 10th, Isaac Potter, GHCA, 21:36.3; and 11th, Mark Robichaud, Fort Kent, 23:15.74. Boys No. 3 race: second, Kyle Boucher, Caribou, 17:49.68; fifth, Jeremy Stone, GHCA, 20:00.71; eighth, Alexey Kovalenko, MSSM, 20:40.78; 10th, Noah White, Washburn, 21:33.01; and 11th, Cole Bennett, Fort Kent, 27:17.3. Boys No. 4 race: second, Ethan Holmquist, Caribou, 18:09.41; eighth, Ezra Leach, Presque Isle, 21:21.81; ninth, Joel Carmichael, GHCA, 21:36.64; 10th, Jacob Maynard, Washburn, 23:07.73; 11th, Maxwell Akom, MSSM, 25:14.25; and 12th, Ian Albert, Fort Kent, 27:49.7. Boys No. 5 race: fourth, Aaron Macek, Caribou, 19:34.71; eighth, Silas Graham, GHCA, 21:57.14; ninth, George Johnson, MSSM, 22:52.76; and 10th, Jovanni Taveras, Washburn, 23:49.84. Boys No. 6 race: second, Malachai Willey, Caribou, 18:33.15; seventh, Shawn Helton, Washburn, 22:10.15; eighth, Michael Perkins, Presque Isle, 23:52; ninth, Michael Delorge, MSSM, 24:30.08; and 10th, Austin Winslow, GHCA, 26:19.3. Boys No. 7 race: first, Isaac Marker, Caribou, 19:09.17; sixth, Jaeden Alvira, Washburn, 22:00.24; seventh, Logan Madden, MSSM, 23:23.63; eighth, Lautaro Visuara, Presque Isle, 23:45.23; and 10th, Parker Brewer, GHCA, 28:09.1. Girls No. 1 race: second, Abigail Wimmer, Caribou, 19:57.26; fourth, Dolcie Tanguay, MSSM, 20:48.65; fifth, Madison Jandreau, Presque Isle, 20:55.32; eighth, Teagan Ewings, GHCA, 22:49.85; 10th, Emmalyne Drake, Houlton, 23:29.97; and 11th, Breanna Beaulieu, Fort Kent, 24:28.88. Girls No. 2 race: second, Madison McCarthy, MSSM, 20:57.15; third, Ashley Violette, Caribou, 21:23.31; fifth, Jessica Halsey, Fort Fairfield, 22:14.25; eighth, Makenna Cooley, Houlton, 26:47.6; and ninth, Maya Eno, Fort Kent, 27:46.19. Girls No. 3 race: fifth, Emma Landry, Fort Kent, 25:30.67; seventh, Charlott McCulloh, MSSM, 26:12.75; and eighth, Kassandra Farley, Washburn, 26:49.39. Girls No. 4 race: third, Emily Austin, Caribou, 22:37.97; fourth, Ellie Smith, Presque Isle, 23:12.85; sixth, Ellie Grant, Houlton, 25:09.45; seventh, Daisey Grady, Fort Fairfield, 25:51.43; ninth, Deal Jialan, MSSM, 26:19.64; 12th, Elexis Fournier, Fort Kent, 30:04.7; and 13th, Amanda White, Washburn, 30:46.8. Girls No. 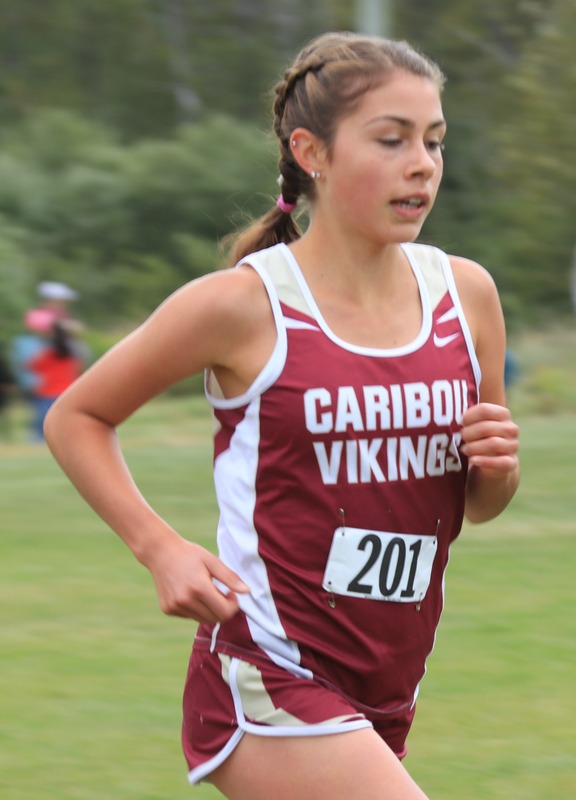 5 race: second, Danielle Cyr, Caribou, 23:38.91; third, Amanda Winslow, Presque Isle, 23:58.6; fifth, Caijsa Benson, Fort Fairfield, 26:37.06; sixth, Rothery Sullivan, MSSM, 27:15.31; seventh, Aliyah Sabattis-Webber, Houlton, 27:26.23; and 10th, Kennedy Ashby, Fort Kent, 34:02.2. Girls No. 6 race: second, Olivia Austin, Caribou, 23:43.1; third, Annika Reynolds, Fort Fairfield, 26:20.84; fourth, Maddie Jackson, Presque Isle, 26:25.77; sixth, Brice Carson, MSSM, 29:21.05; seventh, Raegyn Chavez, Washburn, 33:06.2; and ninth, Lauren Swimm, Houlton, 40:11.2. Girls No. 7 race: second, Chloe Sleeper, Caribou, 24:11.18; fourth, Annicka Benson, Fort Fairfield, 28:25.4; and sixth, Emerson Turner, Washburn, 35:37.2. 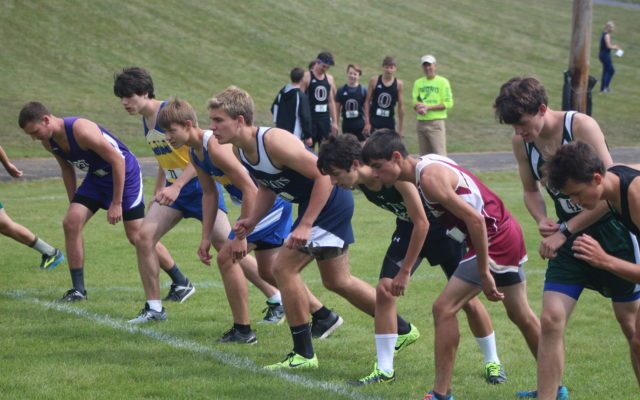 The next cross country meet will be held Friday at the University of Maine at Presque Isle beginning at 4 p.m. Presque Isle will be the host school.